The Index continues forming an ascending impulse. Yesterday, while forming the fifth wave, the bulls were able to reach a new historic maximum. In the near term, the instrument is expected to continue growing up, but may start a correction quite soon. 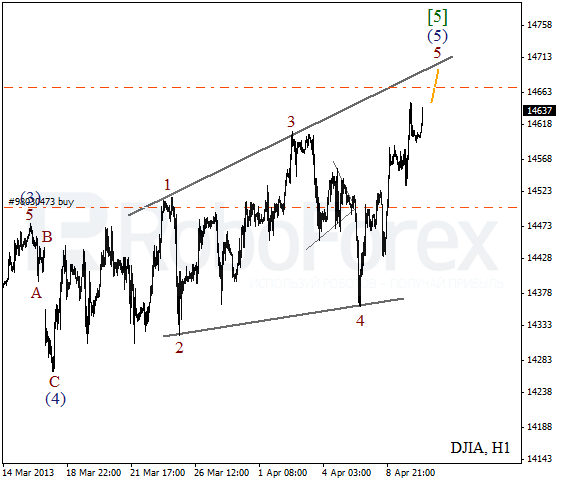 At the H1 chart, the price is finishing diagonal triangle pattern inside the fifth wave. It looks like the instrument is going to reach new maximum while forming wave 5 of (5). If the Index rebounds from the pattern’s upper border, the market will start making a local reverse, at least. 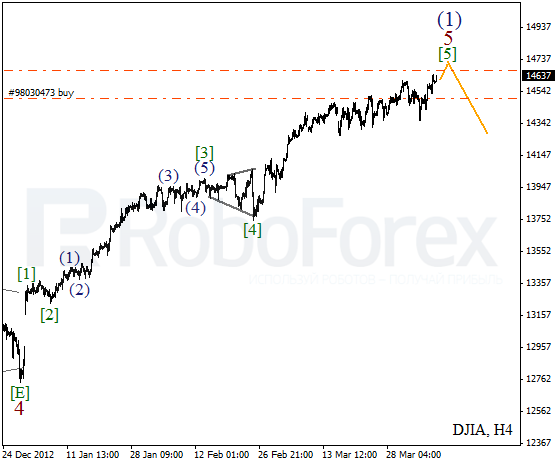 The instrument is still forming horizontal triangle pattern inside wave B. On the minor wave level, the price is forming wave [E]. 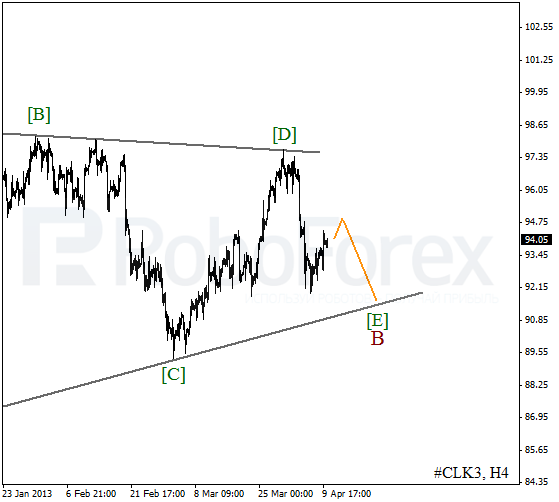 After Oil completes this correction, the market may start a new descending movement towards the pattern’s lower border. After completing an impulse inside wave (A), the instrument is forming zigzag pattern inside wave (B). The bulls may reach a new local maximum during the day. 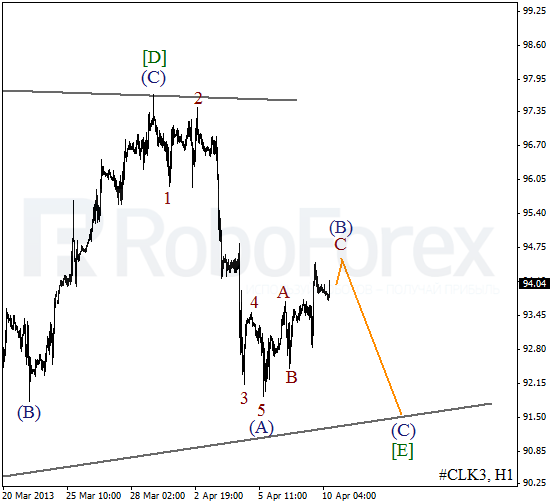 Later, the price is expected to start a new descending movement inside wave (C) of [E].